Browse > Home / Hot Topics / G.U.E. Tech – InFlight Games, Its Magic! G.U.E. Tech – InFlight Games, Its Magic! This Hot Topic turns out to be the longest we have ever run in IFExpress (2600+ words) and if you are at all put off by it’s length, we would like to beg your indulgence and offer a few free downloadable PC games at the end to appease our readers who don’t have time to read, but do have time to play games! Quite often, it a good thing to write outside of one’s comfort zone. In fact, this week we were a bit outside of our comfort zone but readers will, if nothing else, find this Hot Topic interesting and possibly outside their zone too. Our subject is inflight computer games and the company is a small group of passionate individuals who make their living in other worlds – strange ones. The company – G.U.E. Tech is our subject and to set the stage, their corporate slogan (Are you ready for magic?) probably says it all. Hey, if the company logo is a unicorn that should tell you something. 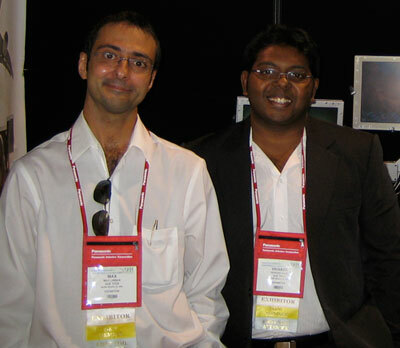 We ran into Max Lingua and Viknash Samy in 2010 at APEX in Long Beach, California. They were tucked back in a corner of the show floor and being fans and supporters of small, new IFE companies, we couldn’t resist a chat with the two representatives (LINK TO PIX) who turned out to be the CEO and Chief Marketeer. Two words define our meeting – game passion, and I do not think we have ever met a more excited or involved duo in their craft. And, we mean craft because theirs is a magical world that we could barely follow. However, they were so committed that we promised to write a story about their quest (Apropos, huh?) . So follow along you just might learn something…put your game face on or ask you kids to translate if you have to! Tucked in the Art Deco District of Miami Beach, Florida, G.U.E. Tech is a software house focused on core software and 3D technologies for embedded systems. They provided the first 3D driver for an IFE System and sports an exclusive catalog of top brand console games for IFE. They also have a small talented staff in the Miami HQ and in their Singapore office with some subcontractors on staff to aid in various aspects of development such as porting, embedded software development, customer support, sales and marketing. “Rain, snow, fog, wind, day, night, sunset… you name it and you will find it in our games. There may be snow painted on the road in other IFE car games, but in G.U.E. Tech OffRoad Racing the snow falls as you race in the game. You can play soccer in the rain, splash through water pools when racing around, or run for your life between thunders and gust of winds in the survival thriller Alone in the Dark. You feel like Frodo? What about a walk in the snow covered hills of Soulbringer? Lord of the Rings fan can explore snow covered hills in Soulbringer just like Frodo in the movies. Viknash then told IFExpress; “In 2013 everybody playing a 3D sport on the plane will expect to have real-time commentary to emphasize on screen action, and legendary British sport commentator Barry Davies breathes life in our Actua Sports Series Games. And, we raise the bar even higher: the narrating voice in all cut-scenes of Fallout are done by Golden Globe winner Rob Perlman (main character in: Hellboy, Alien 4, Blade 2, Star Trek Nemesis, etc.). If you value music, all our games have rocking soundtracks (even in game and not just the intro like competing IFE games). Not to mention that Actua Soccer comes with Robbie Williams (of “Take That” fame) songs. If you are more into classical music then you will be mesmerized by Syberia’s orchestral symphonies.” As you can see G.U.E. Tech games seriously raise the appeal of IFE interactive content quality. With these guys, games will no longer be the passenger’s second choice to movies on board. And now for the important stuff, to greatest satisfaction of families flying with kids, the team offers Freddi Fish, Putt Putt, Pajama Sam and Spy Fox. The main developer of those games, Tim Schafer, a legend in entertainment biz used to work for George Lucas at LucasArts. These games will (no doubt) make you recollect the days when we were sitting on our parents lap, and listening to a bedtime story. Its bound to cheer-up all families on board not only because they do not have to compete with the engine noise, they are riveting with the added graphics, video and audio. Not only have these game brands spawned multiple merchandising opportunities (toys, lunch-box, t-shirts, books, etc.) they are also second to none from a quality point if view. As an example: the in-game characters voices are all dubbed from professional actors, e.g. the voice of Putt-Putt uses the same voice talent behind Bart from the Simpsons. Once again: first class for coach, or wherever on the plane. Airlines immediately recognize some of the games in the G.U.E. Tech catalog, and so will their passengers. They come from mainstream markets and the best platforms (iPhone, PlayStation, Windows, etc.). One wonders If airlines desire Hollywood-class movies for their passengers, why are they being made to settle with unbranded games? Food for thought! Now, lets us set the stage for what it is G.U.E. Tech does very well, and “magic” is not too far from the correct term. Under the heading of Technology, as mentioned, they use “bink” and “miles“, the middleware in the development of their gaming product. Suffice it to say, this is really apparent in the images, motion control and music. Even the reviewers notice the value these software assets bring to the G.U.E. Tech product. Working on IFE core software as well as on 3D applications, they claim that they have a clear idea of the potential and are not shy to use it to its full extent to offer the passengers with the best in-flight experience possible. Their words, not ours. Q: What IFE platform are on now and with what ones do you claim compatibility? A: Right now the games have been released on Panasonic’s system. But they are actually already available for Thales as well as IMS. As far a compatibility goes, the games are also compatible with portable devices that support linux or android. As you might already know, most of our games can be purchased online from various retailers and can be played on your home PC, laptop, tablet or mobile phone. Q: We are astounded by the audio quality and music! – nice work there. Some games are older but I assume you have updated and added 3D engines and other graphic improvements as well, is that correct? A: Yup, most of our games have been fully upgraded and made compatible for different IFE systems. Q: As far as a total number of games, how many are available for airlines? 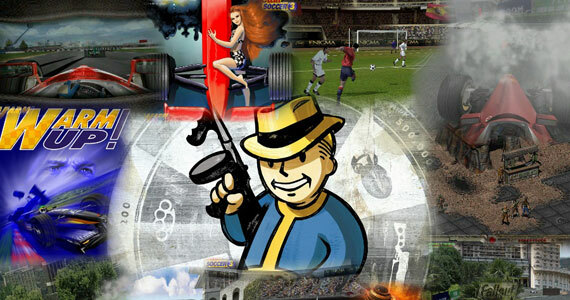 A: We have 120 games belonging to 15 genres in total. Q: What input controllers are required and do any games work with touchscreens? Also do you provide any downloadable (free or paid) for idevices? Are you interested in providing that kind of content if you don’t already? A: We can provide downloadable games to devices onboard as we have the rights to distribute the games for inflight entertainment. We are presently negotiating with carriers to make these games available through their wireless system. However, there are many different devices to support for Android + idevices and not all of them are compatible as the performance of these devices varies greatly. Some of the airlines we are presently talking to are concerned that some customers might be disappointed if support for their device is not available. The other point we would like to make with wireless is that somebody has to pay for the service (bandwidth, server, etc.) The alternative that we are exploring is to allow passengers to buy a version for their devices (PC, Linux, Android) to play at home as well as to keep enjoying the games on board. All our games support the standard range of IFE handsets as well as touchscreens. In some console games that run on IFEs with touchscreen only, we have implemented soft buttons to replace the handset. As a bonus we also support USB gamepads for our top games. Editors Note: We begged the software team a couple demo’s for IFExpress readers… and yes, it’s PC stuff! We snagged 3 downloadable demos. Enjoy!